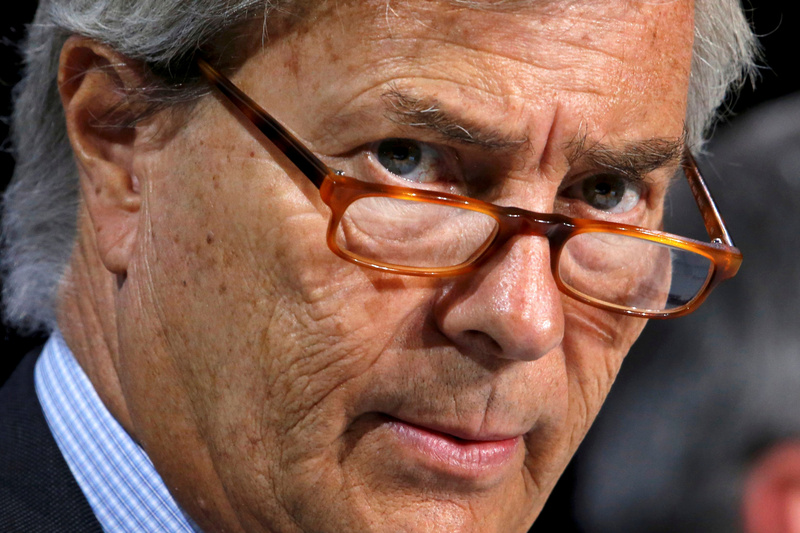 Vincent Bollore, Chairman of media group Vivendi, reacts during the company's shareholders meeting in Paris, France, April 21, 2016. Vivendi said on March 29 that it was prepared to withdraw its proposal to oust five Elliott-appointed board members at Telecom Italia, Reuters reported. Telecom Italia shareholders met on March 29 to vote on the company’s annual report as well as the Vivendi proposal. A Vivendi representative told the shareholder meeting that the French group was ready to abandon its request if other shareholders agreed. Vivendi, controlled by French businessman Vincent Bolloré, and Paul Singer’s Elliott Advisors have been feuding for control of Telecom Italia after the U.S. activist fund was able to install 10 directors last May on the board of the Italian former monopoly, outnumbering Vivendi, which has five representatives, and is the group’s largest shareholder with a 23.9 percent stake. Elliott has a 9.55 percent stake, according to Refinitiv data. State-owned investor Cassa Depositi e Prestiti owns 9.83 percent, Refinitiv data show. Telecom Italia shares were up around 3 percent at 0.557 euros by 1429 GMT on March 29. The stock has lost nearly 30 percent of its market value in the last 12 months.